The Irish comics scene is one of the busiest in the world right now, and almost certainly one of the fastest growing. Spurred on by creators like PJ Holden and Declan Shalvey, more and more writers and artists are making a name for themselves in comics. 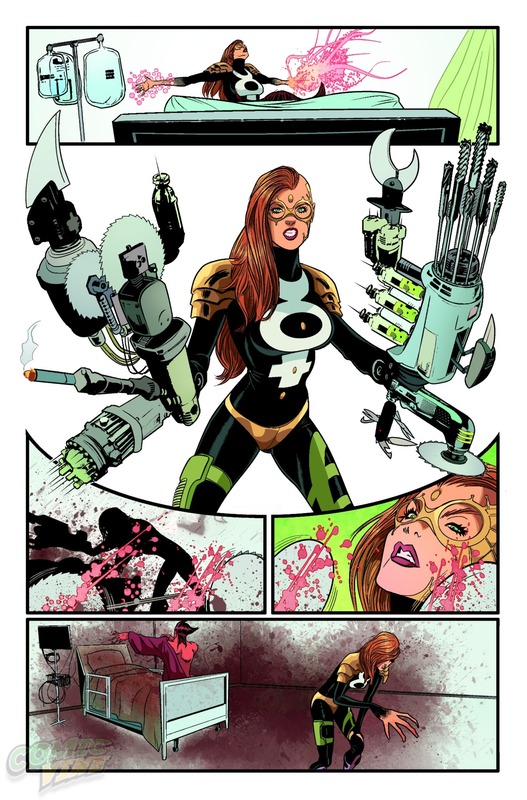 And one of the newest of those is colourist Ruth Redmond, who first drew my attention for her work on Exit Generation. Steve: How did you first get involved in comics? What comics first drew you in? Ruth: My earliest memory of comics is when my parents were on a missionary trip in Austria and I was left in the hotel room with a bunch of comics. I specifically remember the My Little Pony comic, it was in German but I was still able to grasp the story from the images and I loved it. My Dad also had a lot of collections of newspaper strips and European comics about the house when I was growing up and my Granny bought my brother and I the Dandy and Beano every time we visited. So I’ve always had comics around me growing up, but I first got really excited about comics when I was 15 and a girl in my class introduced me to manga. The dynamic style of manga was so different from what I has read before, it blew my mind! Around the same time I discovered the wonderful world of webcomics which got me even more excited about comics. I eventually began to explore American mainstream comics just before I started college! Steve: You’ve written, drawn, and coloured comics – but you’re starting to become best known, perhaps, for the colouring. How has this focus developed over the last year, particularly, do you feel? Ruth: I think with colouring it’s kind of like I’ve found my calling. Like you say, I’ve done other aspects to comic making, but colouring is where people have seemed to start to notice me. I think a big contributing factor to this, apart from the fact that I really love colouring, is that I found an absolutely stellar mentor in Jordie Bellaire. She has helped me to grow exponentially in the past year, far faster than I ever would have on my own. I still have a lot to learn, which I’m sure she’ll help me with, but I still already owe her so much! Declan Shalvey has been wonderful too in helping me to get my name out there. So I think between the two of them, and all the other wonderful people who have been helping me along the way, I’ve been really pushed in the right direction in terms of focusing on developing the career I want. Steve: Do you still find time to work on writing and drawing, or are you now mainly working on your various colouring projects? Ruth: Yeah I still draw just about everyday, it’s important to keep those muscles working and I still have so much to learn! And I like to write to wind down sometimes. I also have to do lots of other art related things because of college, so there’s always something that needs doing that isn’t colouring! Though it is hard to stop colouring from taking over my life haha! I recently started an evening course at a local school in visual storytelling (basically comics) that’s being taught by the phenomenal Phil Barrett so as to try and refocus myself into drawing mini-comics. I haven’t produced anything I’ve written and drawn in over a year, so I wanna get some stuff going to have for this con season. Steve: Have you experienced the ‘for exposure’ pitch, at all? Ruth: Oh yeah, for sure! Haha~ I don’t think those ever go away. I think people don’t use those two words as much anymore because of the way they make artists spin around and walk the other way but yeah I still get people asking me to work for free or for backend. I don’t hiss at this though, I’ll listen to just about any pitch cause there are lots of amazing comics that people want to get off the ground that just don’t have the upfront capital to get them going without a little leniency when it comes to pay. Thankfully as a colourist I can take on a few projects at a time so I can take the well paying gig that makes it possible for me to take the just as exciting but less well paid job. Steve: Imagine Agents was your first work published by a major company – how did you get involved with the series? Did you pitch yourself? Ruth: This was kind of nuts actually! I hadn’t sent in anything to BOOM! cause I was being a big baby that was too afraid to ‘bother’ people by sending them my work but Declan, being the great guy that he is, sent off a link to my portfolio blog anyway one night when we were up late working in his and Jordie’s studio. I can’t remember if it was that night or the next day but BOOM! got back very quickly asking if I wanted to work for them. I did a test for IMAGINE Agents and passed it and I was ecstatic! It was such a cool book that was right up my alley in terms of style, a fantastic first series for me! Steve: You’ve also now started to work with Marvel, first for Revolutionary War: Dark Angel, and now for books like Avengers Assemble. How does this work, exactly? Do you move from job to job through word of mouth and recommendation? Ruth: You know I’m actually not entirely sure! I’m still unclear as to how I got on Marvel’s radar to the point where they hired me in the first place! When I got asked to colour Supersoldiers and Motormouth in the Revolutionary War event it made sense to me cause it felt like the same ballpark. I have no clue why they thought I should fill in for Nolan Woodard when he was too busy for #24 of Avengers Assemble. My understanding of it is though, that once you’re in the Marvel system they have a kind of list of people they call on for that kind of thing. So yeah, I’m a bit hazy on the details but very grateful! Steve: How difficult is it to build up a portfolio as a colourist? Is it difficult to not only find projects – but to keep finding them, and build up a body of work? Ruth: Before I buddied up with Jordie it was very difficult to find high resolution inks of artists I wanted to colour for my portfolio. 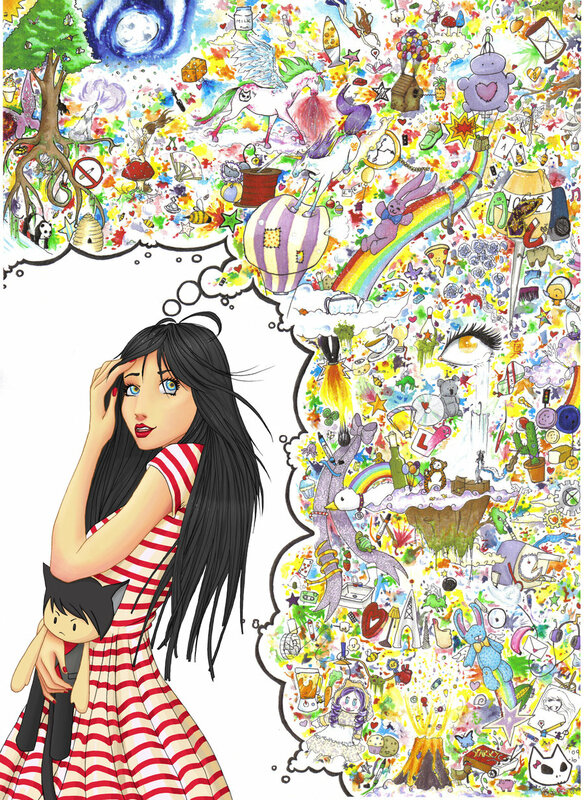 When I met her I had only coloured three short comics and they were all drawn by the same person, Rob Carey. While I was very grateful that he had asked me to colour his stuff (that’s what made me realize I liked colouring) it didn’t allow me to show much variety in my work. But yeah, once I was working under Jordie I had access to lot of amazing artwork that she would let me practice on, and not long into my informal internship she started to recommend me for jobs that were pitched to her but that she didn’t have time for. I think I’ve had a unique experience with Jordie and Dec because once I started hanging out with them within a couple months I was getting a steady enough stream of offers of work that I was never really left wanting. I think colourists might be slightly less abundant than artists, or something, because I haven’t ever not had work to do in the past 7 months! 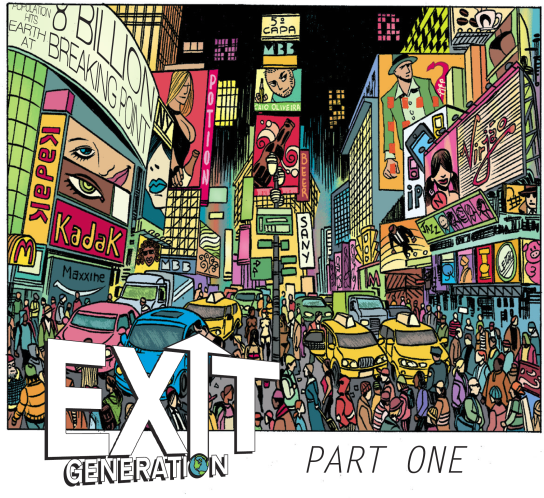 Steve: Do you think you’ll try to mix titles like Avengers Assemble and small press projects like Exit Generation? 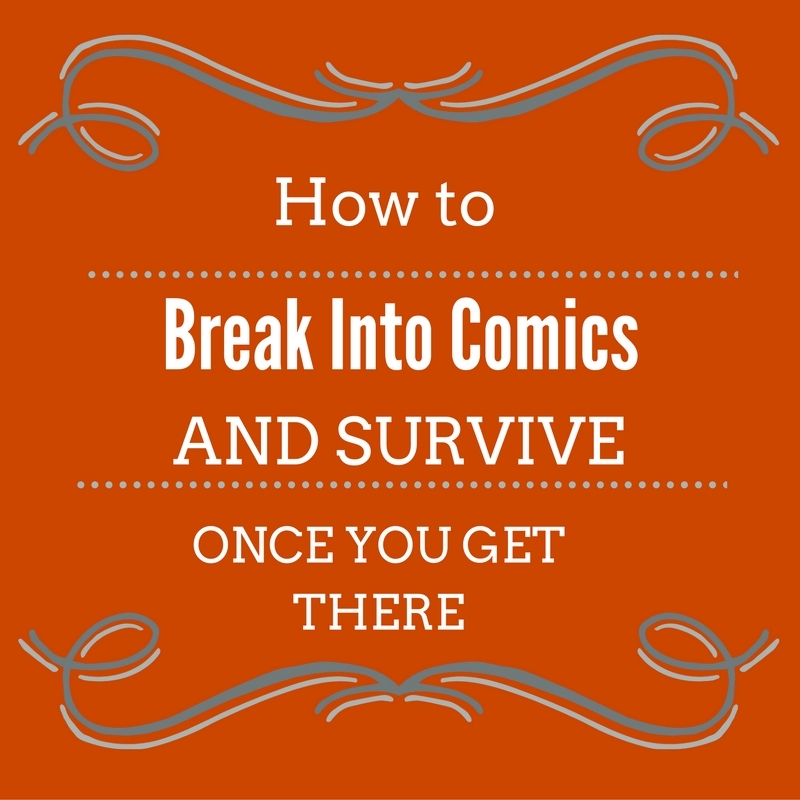 Are you interested in balancing out mass-market titles with small press comics? Ruth: Oh yeah for sure! I’ll take on any project that I have time for and that interests me! I don’t mind whether it’s big or small press. Obviously I do also have to consider how much money I’ll be making so I can still pay my bills, but after that it does just really depend on the project’s merits. Declan uses this good check list of things he says you should consider before taking on a project. The order doesn’t matter as long as it ticks at least one box, preferably two or even all three! – Is the project going to be creatively rewarding? – Is it going to benefit your career/exposure? So if a project ticks all three boxes, you’re laughing! I think it’s a good rule of thumb! Though maybe ‘Do you have the time’ should go on there too, it’s very hard to say no to jobs sometimes but you really have to or else they’ll all suffer eventually! Steve: When you first come to a project, how do you approach the colouring? Do you read through the script to work out the tone, do you build up themes – what do you do in preparation for working on a book? Ruth: When I join on to a new project I like to look at how the artist has been coloured before and how they like to colour themselves so I can get a feel of what they’d like me to do. I also ask them and the rest of the creative team for advance notes. I read the script to look for emotional beats and any other specific cues the writer had in mind e.g. time of day. If it’s an existing franchise or character I’ll look up their past appearances for reference. Basically anything I can use to inform my decisions so I can avoid obvious mistakes as best I can. If I’m feeling really stumped I might watch some animation, check out the work of other artists or take a scroll through some art blogs on my tumblr dashboard. Steve: What do you feel is the most important aspect of your work? What does colouring bring to a series? Ruth: Hmm, I suppose clarity of values is the first most important thing, the reader needs to know where to look and the use of value in a work can indicate this very efficiently. The eye reads value (light and dark) faster than it registers actual colours. I think the second most important thing for me is the emotional tone. The use of certain colours will evoke certain emotions in a reader even faster than words or what the characters are expressing. I still have loads to learn about colouring but these two areas are probably the most fascinating to me right now. I am endlessly intrigued by semiotics so the idea of provoking certain emotional responses in the reader purely through the use of particular colours, calling on their emotional associations with those colours just gets me so excited! Steve: Which creators inspire your work? Ruth: Oh gosh so many! It’s gonna sound like I’m just saying it but I seriously adore everything Jordie does. Sometimes when I’m feeling really lost with my work I look up her stuff. 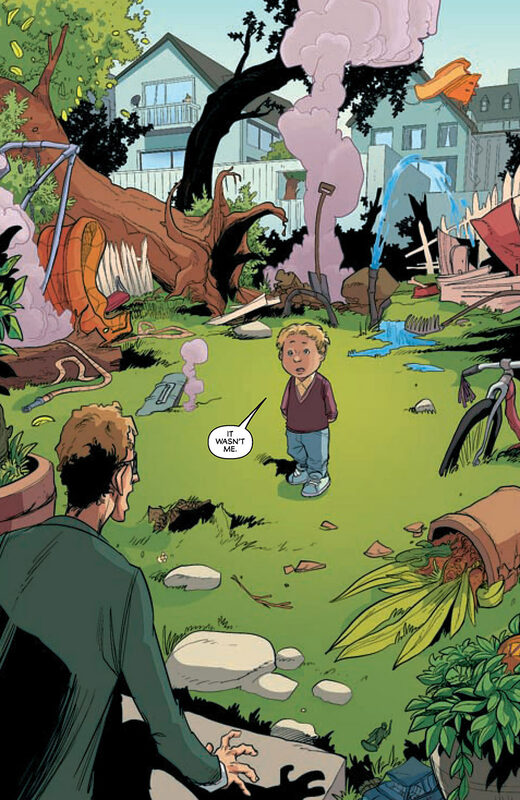 With other comic colourists I also love the work of Matt Hollingsworth, Matt Wilson, Dave Stewart and Christina Strain. Just in comics I get all in a tizzy over the works of EK Weaver, Ashley Cope, Emily Warren, Paulina Gancuheau, Phil Barret, Sean G. Murphy, Gigi D.G, Mickey Quinn, Tyson Hesse, Becky Cloonan, Declan Shalvey, Heather Meade, Danielle Corsetto, Jayd Aït-Kaci, Tracy J. Butler, Zach Sterling, Doug TenNapel, aaah so many people! I should stop, but holy crap there are so many amazing people out there! 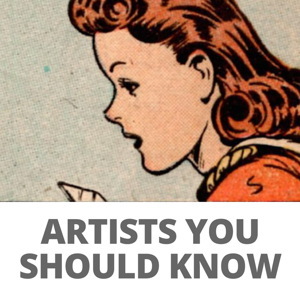 I also like a lot of painters, animators and designers, but I probably shouldn’t start listing all of them too haha! But yeah, if you haven’t seen the works of even one of the people on that list check them out~! Steve: Ales Kot spoke on Twitter recently about creator-owned comics, saying he gives a percentage of ownership across to the colourists he works with. Obviously it’d be in your interest if this became a more wide-spread practise, but would you agree with his assertion that colouring is as vital an element of comic creation as anything else, and thus deserving of partial ownership? Do you think this may become a more common thing to see as we move forward? Ruth: Yeah I’m on board with Kot! Not just cause that would probably mean more money for me down the line haha, but colourists do genuinely deserve more admiration than they get a lot of the time. I think letterers deserve it too. It’s not very often you see a comic without colours or letters, certainly in mainstream publishing anyway. Yet for all the hundreds of comics that are on shelves every month, there are maybe a handful of colourists the average reader would know the name of and even less that get invited to guest at shows, or get shared ownership of a book etc. I’m not sure why that is. I don’t think it can be said that a colourist or letter’s job is easier than a pencillers or writers, it just gets done faster. I think things are improving slowly though as more and more creators step up and point out the people they work with. Also Jordie’s initiative; colourist appreciation day is great! Steve: You’ve come into comics at a time when it feels like the Irish comics scene has noticeably started to rise in profile. Is this something you’ve noticed particularly, yourself? Ruth: Yeah it does seem to be buzzing! I think I arrived to the party a little late so I was only becoming aware of the people around me when they were already achieving a lot so to me it kinda felt like I was walking in on a bunch of cool cats. As I became friends with them and got to know everyone’s backstory though it did seem to be something that has only come to fruition in the last few years, which is great for me! I’m coming up at a time where the talent has never been more plentiful and the cons have never been bigger. It has made it very easy to meet great people that before I would have had to go abroad to see! Steve: How have you found the comics industry in general, now you’ve moved from self-published work to small press work-for-hire through to work for hire at companies like Boom or Marvel? How’s the journey been, for you, thus far? Ruth: Everyone is super friendly! I have yet to meet anyone mean or unpleasant, so many amazing people I really admire have not had any problem with just chatting to me, it’s kinda dizzying when I think about it haha! Everyone seems willing to help everyone else, it’s super nice to see! I’ve been given such amazing leg ups because of this. I reckon all of this is on account of the fact that everybody in comics is here cause they really want to be. Steve: What else do you have coming up over the next year? Ruth: In February I’ve got a Robocop oneshot, Memento Mori, coming out from BOOM! Feb 19th; Marvel’s Revolutionary War: Supersoldiers and Avengers Assemble #24 on the 26th. Then Revolutionary War: Motormouth in March as well as Exit Generation #2. My new ongoing with BOOM!, Dead Letters, starts appearing on shelves in April. I also recently signed on for a new indie book, My Maker and I, which I am really excited about! Plus some other bits and pieces. So um, yeah, exciting year ahead for me I think! Many thanks to Ruth for her time! You can also find her across the internet: on Twitter, on DeviantArt, and on Tumblr! You can also find me – Steve – over on Twitter, and at t’Vanguard.